Who controls the satellites that surround us? Satellites come in a myriad of shapes and sizes, and if you have visited the Universal Gallery at MOD. 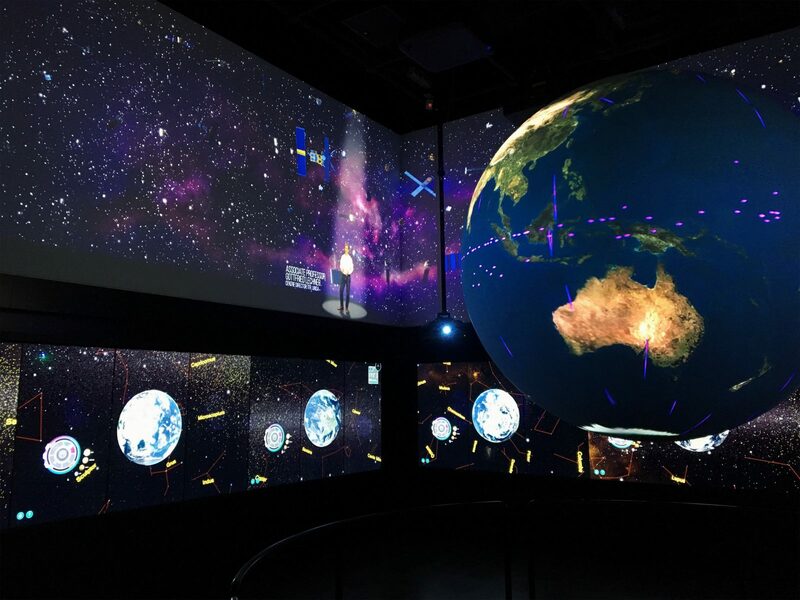 during Waging Peace, you will have experienced the diverse ecosystem of satellites orbiting the room. 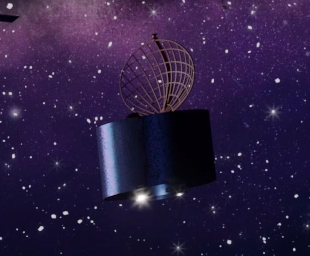 These satellites, selected by Dr Alice Gorman, a space archaeologist that you can find online @DrSpaceJunk, and modelled and animated by Nick DeBoar, are based on historical and modern satellites. “But what satellites are they?” I hear you ask. Well, take a look at our handy guide to identifying the satellites of Orbitopia. 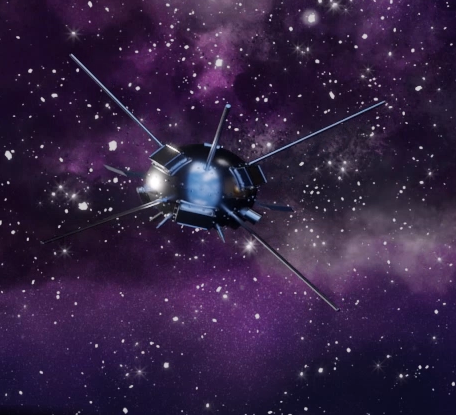 Vanguard 1, launched by the US in 1958, is the oldest human object in space. It was the first satellite to be solar-powered and showed that the Earth was ‘pear-shaped. 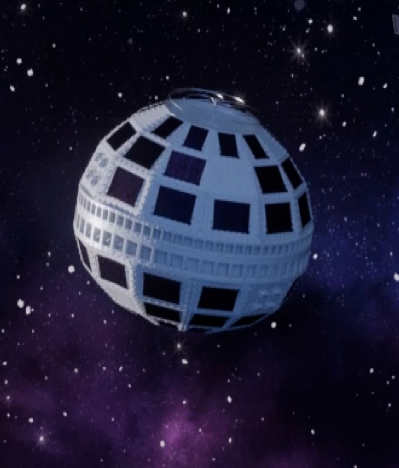 Telstar 1 was a communications satellite launched by the US in 1962. It inspired the iconic black-and-white pentagonal soccer ball design and a chart-topping instrumental song by pop group The Tornados. Syncom 3 was the first satellite to reach geostationary orbit, 35, 000 km above the Earth. It was used to broadcast the 1964 Tokyo Olympic Games and to provide communications in the Vietnam War. Palapa A1 was Indonesia’s first satellite, launched in 1976. The satellite was seen as a symbol of unity for the diverse cultures of Indonesia’s 922 inhabited islands. 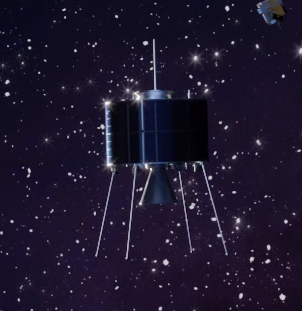 Launched in 1970, Dong Fang Hong 1 was China’s first satellite. It carried a radio transmitter which broadcast the song ‘The East is Red’ for its first 20 days in orbit. 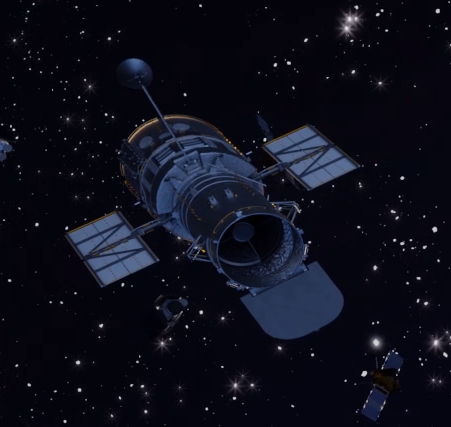 The much-loved Hubble Space Telescope was launched in 1990. With its observations of far-distant stars and galaxies, it changed the way we view the universe. It’s regarded as the most significant advance in astronomy since Galileo invented the telescope in the 1600s. 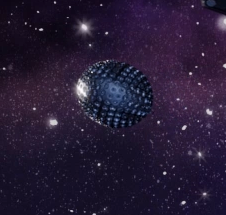 Lageos 1 was a spherical satellite launched by the US in 1976 to take measurements of the Earth using lasers bounced off its 400 glass ‘jewels’. Inside the satellite is a graphic created by Carl Sagan showing how the Earth’s continents will look 8.4 million years in the future. Launched in 2002, Envisat is a large Earth-observing satellite operated by the European Space Agency. 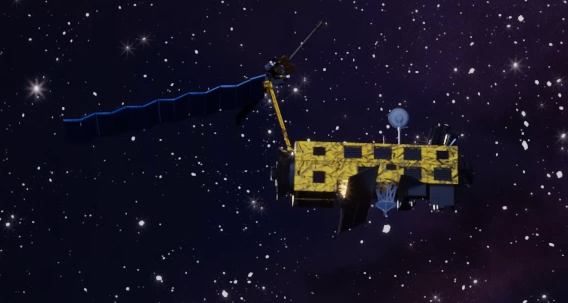 After 10 years of service, the ESA lost contact with Envisat in April 2012. 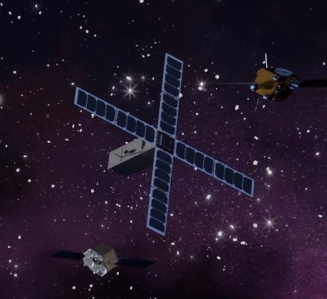 The spacecraft remains in orbit, but attempts to contact it are unsuccessful. The BRIO Cubesat as used by Adelaide-based tech company, Myriota. 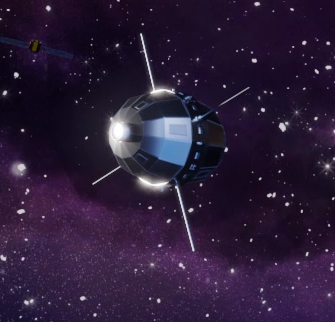 Low-cost satellites like these are revolutionising the use of space for non-government parties, such as citizens and small start-up companies. There you have it! These are just some of the satellites orbiting the Earth. Visit the Orbitopia now to discover more.